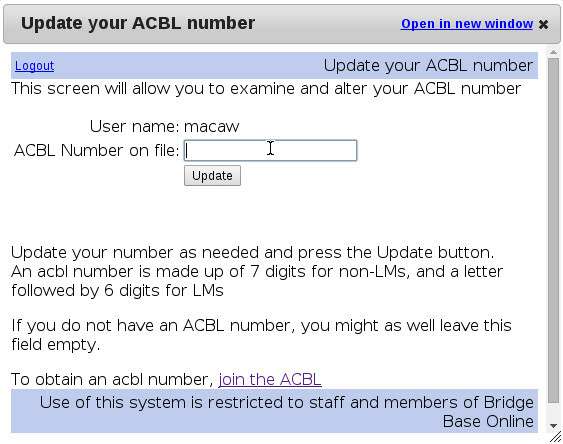 How do I enter or up-date my ACBL membership number? 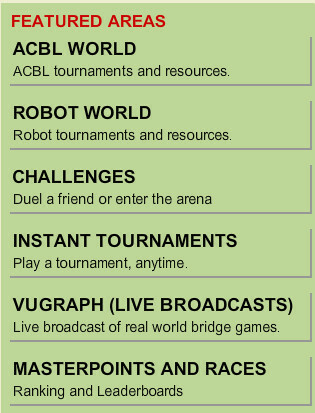 Click on the ACBL World button. Click on Update your ACBL number - the link is in the list of horizontal links immediately below the list of pending ACBL tournaments, on the left side of your screen. Enter your username and password, and click on Submit. For this screen, your username and password are case sensitive and they need to match exactly the way you entered your username and password to log into BBO during this session. If you typed your username as "Username," make sure you use the upper case letter. The same goes for your password. 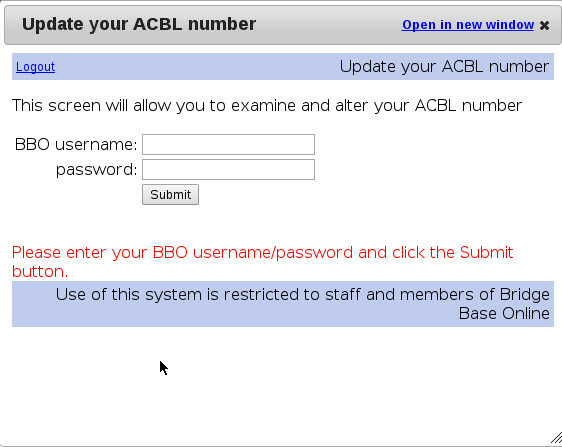 Then type in your membership number and click on Update. Click Logout and that completes the process.